A recent post by Ubisoft has given us insight into what we can expect in upcoming patches. Among the most notable changes coming to Siege are the Lion and Capitao reworks. The Lion rework that’s been in talks since the operator’s introduction to Siege in March 2018 is finally going to become a reality, according to the post. While we already had a solid idea of what the Lion rework was going to look like, Ubisoft has actually tweaked the operator more since receiving feedback from test server players. The developers increased the number of times Lion can use his ability from two to three, while also shortening his cooldown period from 27 to 15 seconds. Capitao’s changes will also be leaving the TTS for the main game. We’ll still see the asphyxiation bolt damage reduced from 19 to 12, an increase in area of effect, and the bolt drop after 10 meters. 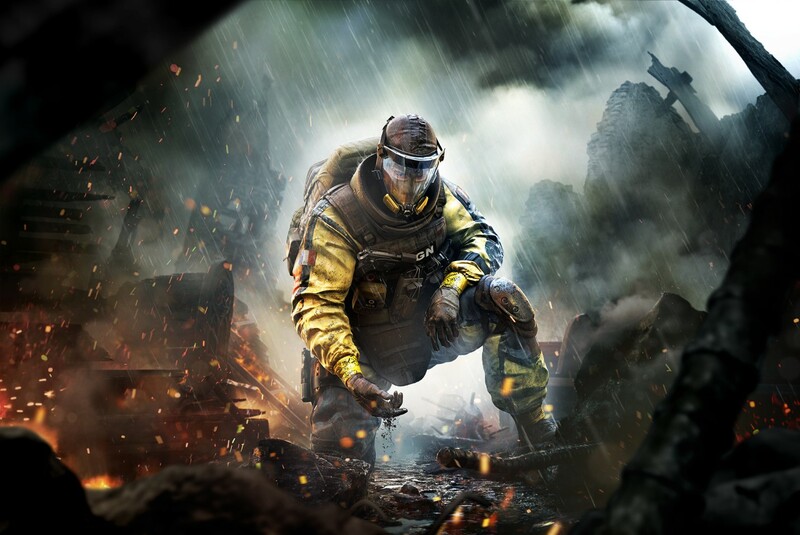 Ubisoft has also listened to community feedback following the TTS period and increased the time it will take for the asphyxiation bolt to reach its maximum AOE. Perhaps the most important change we’ve been waiting for is Ubisoft tweaking the propagation system, which means asphyxiation bolts will no longer be able to clip through walls. The designer notes also include a large list of other substantial operator tweaks. Ying’s Candela charges will function more like traditional thrown grenades and will follow the frag grenade format of cooking. Ubisoft put it simply: The longer you cook, the shorter the time before the Candela will detonate. The Ying change is interesting because the most recent leak for Y4S2 said that Ying would go through a change in direct relation to the new American defender’s ability. It’s hard to see the connection to any specific operator here, other than Ying herself and player comfort. It remains unclear if this is the change the leak referred to or if we could still see a greater alteration to Ying down the line when the Y4S2 operators are released. Blitz’s change comes in the way of increasing his ability cooldown from two to seven seconds. Although this change is a step in the right direction, it might not be enough to stop the frustrating steamroller that is Blitz and keep him as a viable pick. With such a problematic operator, it’s hard to see any change making players happy or comfortable going against Blitz. Ubisoft is finally going to add an audio effect to Nomad’s deployed Airjabs, which will be interesting to see in the coming Pro League seasons. She’ll also be losing her claymore and picking up stun grenades instead due to her already-strong flanking defense, according to the post. Right now, the operator is seeing a fair amount of bans in the Pro League, so maybe pros will forego banning her once the audio is added. The Wind Bastion defender will also be seeing some changes, but mainly in his ammo count. Kaid’s total ammo for his TCSG12 has been reduced from 61 to 51 rounds, while his AUG-A3 clip size has increased from 27 to 33 rounds. The ammo count isn’t the biggest change, but maybe players will see less slugs flying across the map once the AUG-A3 receives its clip size boost. Echo and Maestro round out the list of upcoming operator changes. Ubisoft will be making both operators more vulnerable this time around. Thatcher and Twitch’s abilities will now cause the Evil Eye’s bulletproof window to stay open slightly while temporarily disabled. This change is huge since there’s no way to fully deal with an Evil Eye other than soft breaching and frag grenades. Echo will now be visible to IQ when on his Yokai, which is a change that probably should have been implemented a long time ago as far as logic is concerned. Both operators are heavily played (and banned) in the Pro League, so it’ll be interesting to see what these changes mean for pro play. Ubisoft has laid out some pretty hefty changes. While some may not come right away, it’s nice to see what’s actually in the pipeline. Some of these changes are way past due, like with Lion and Capitao. The Nomad and Ying changes are going to contribute to player comfort in big ways going forward, and many fans will be curious to see how the Blitz change pans out after its release.